From marital infidelity to global war, the world is obviously broken, leaving people desperate to find an explanation for our universal sin problem. 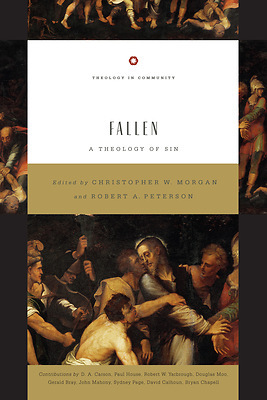 In the latest addition to the Theology in Community series, Christopher Morgan and Robert Peterson have assembled an interdisciplinary team of evangelical thinkers to explore the biblical doctrine of sin from a variety of angles. Among other contributors, popular scholar D. A. Carson discusses the contemporary significance of sin; seasoned professor Paul House details sin in the Old Testament law, prophets, and writings; and New Testament expert Douglas Moo explores sin from Paul's vantage point. This team of top-notch scholars offers modern readers a comprehensive overview of this oft-neglected, biblical theme so that readers might learn to live better in a sinful world.